Traveling is one of the most interesting experiences everyone could have. Traveling is not only about seeing different places of the world and getting to know different cultures, but it can really change your life and make you a better person. 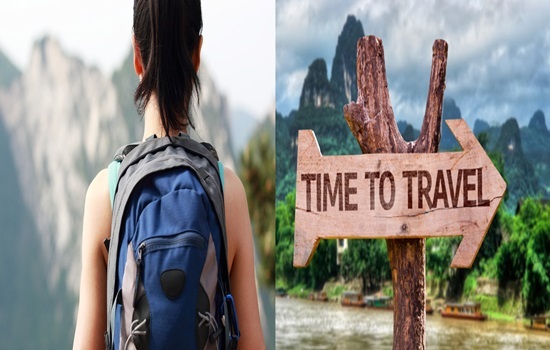 If you want to know how traveling can change your life and make you a happier and better person, here are 5 wonderful benefits of traveling. 1. Increases Our Resourcefulness: By living situations, you would never experience at your homeland, you will gain a great experience that will help you a lot when you come back to your routine. We often see that people who traveled a lot in life are ready to embrace change and have a natural ability to overcome problems that others would frown upon. 2. Helps You Find Your Purpose: As you travel you’re exposed to more new people, cultures, and lifestyles than you are living in your homeland all the time. With all the newness in your life, you’re also opened to new insights, ways of seeing the world and living, which often gives people a new purpose for their lives. If you can’t find out what your purpose is, what you want to do with your life, the career or educational path you want to pursue, go travel and you might just be surprised about what you discover as a new sense of life purpose and direction. 3. Increases our knowledge and widens our Perspective: To view new customs, different ways of living is fantastic for the mind. It gives us a new perspective about life and it can help us change some of our habits or even create new ones. Discovering different values and ways to get by in life is really interesting. 4. Teaches you about your Homeland: If you travel, you will not only learn about foreign cultures but about your own as well. You will notice the cultural differences and will find out what makes your culture unique. After returning from a long journey, you will see your country with new eyes. 5. Makes you more Tolerant: During traveling you will meet people that are very different from you If you travel enough, you will learn to accept and appreciate these differences. Traveling makes you more open and accepting.